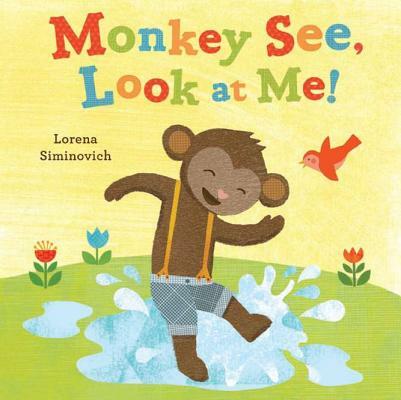 The founder of popular children's decor brand Petit Collage brings her signature collage style and modern, kid-friendly sensibility to picture books with this story of an attention-seeking little monkey with a great big imagination. When Monkey jumps high, he decides he must be a rabbit. When he roars, Monkey just knows he must be a lion--until Lion shows him how loudly a real lion can roar. In this playful game of -monkey see, monkey do, - Monkey and his animal friends share what makes each of them special just the way they are. Lorena Siminovich is an artist and designer who founded Petit Collage, a line of children's wall decor and accessories carried in over 150 high-end stores and boutiques. She has been featured on The Martha Stewart Show, as well as in many popular blogs and publications. Originally from Buenos Aires, Lorena now lives in San Francisco, California.